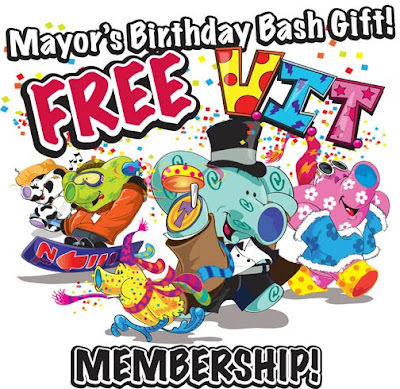 It's the Mayors birthday in April and he wants to give you a gift! Everyone that signs up for the tootastic Tootsville before April 30th, will get a FREE VIT Membership with full access to the hottest virtual world on the net. This is a pretty amazing offer and the Mayor has other surprises in store! From what I'm told Tootsville will be giving out gifts for the whole month including free plush, jewelry, pivitz and collectible items. By the way this isn't just a one day membership, it will last at least a month! REGISTER NOW for FREE MEMBERSHIP CLICK HERE! Wow. A online site that gives away free memberships? Sounds a lot like... well, Mimo! Cheers! A kid in my class's step dad works for Toostville. I think he designs rooms. AWESOME! it doesnt last one month it lasts a whole year! i looked at it and it said it expires in 2011! -As happy as a turtle on a convayer belt. I wish cp gave away free memberships. Btw,lol on the turtle joke. club penguin is the hottest online website isn't it? and he said that he turned the Mayor into a statue!...and he proclaim himself as MAYOR! Im goin to go join now! You do it by signing up for Tootsville at www.tootsville.com!You will get a free membership for about a month and they are doing plush and pivit giveaways! Yeah, that's what I would guess! hey i couldn't find out my old account's password, and when i tried t make a new account it wouldn't load on the last step. can someone help? thats nice..although i dont play tootsvile! Is it the post where you said you just signed up? well you didnt tyoe it, so no problem! Anyway i'm sure Mimo would have forgiven you if you did write it! ___________________________________well yeah he posted about it on facebook but i didnt see his cd :( but i got a poster of him :D its called a golden ticket..
well that is an opinion, i think it and probably most of mimo's fans think the same ( i am one) but runescape witch one a few world records is a good canidite same with gaia the biggest profile/multiplaying game in the USA. but i still think that CP "takes the cake"
You get a WHOLE YEARS free membership!!!! My advice is to keep trying! I know! It is AWESOME! Cool! Please don't put (CPG mod) when you are not modding. Yeah, I think I will sign up too. awesome! I just made an account and got free v.i.t membership! you know i thought that it wouldnt be fun, but it is! Thanks for telling me about it mimo! i meat the mayor he was very nice and then we played mayor mayor may we cross and Louis gave us all one wish! oh yeah, and any one who has already regestrigted can go to the membership page and upgrade for free! u dont need to make a new account! On Club Penguin, the activate account is different and changed. The best thing is you can go on tootsbook now!!! Honestly I don't get it. 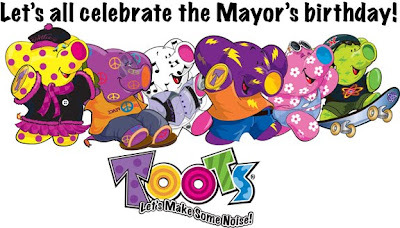 Its the mayors birthday right?? Yeah I thought so. Shouldn't WE get somethines for him? I really don't get it. We're celebrating HIS birthday right? If so then how come we aren't really giving him a gift. Hey Mimo when i signed up today i looked at my account its says my membership is active from March 24, 2010 - March 29, 2011 so it's not a one month membership at all it's like more than a year! Cool! Thanks for the info Mimo. Thanks Mimo! I joined and it's awesome! I got my membership from the mayor until March 2011! Thanks again Mimo! 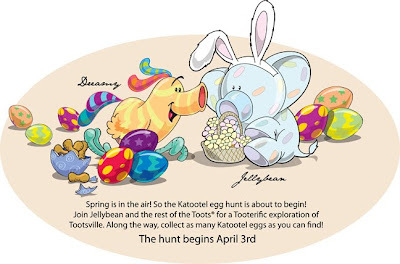 Yellowbell.Choclatee - Please know... your Tootsville.com, FREE, VIT Memberships are all set. Welcome to the Herd! hi i joined ages ago and i gpt a free membership it says it lasts until next yr its so cool im gunna tell cp and other websites i go on and see if they can do the same!